I would like to address the home gardener from a broader perspective, where I see the main issue. CalTrans and environmental consultants have all sorts of mitigation and revegetation going on. I think particularly of something in my back yard, San Bruno Mountain. Congress passed an amendment in 1982 to the Endangered Species Act that created habitat conservation plans (HCPs), and the first such was here. From the beginning it was compromised. Environmental consultants or subcontractors were hired, but the genetic stock that was used there for restoration was not appropriate for San Bruno Mountain. 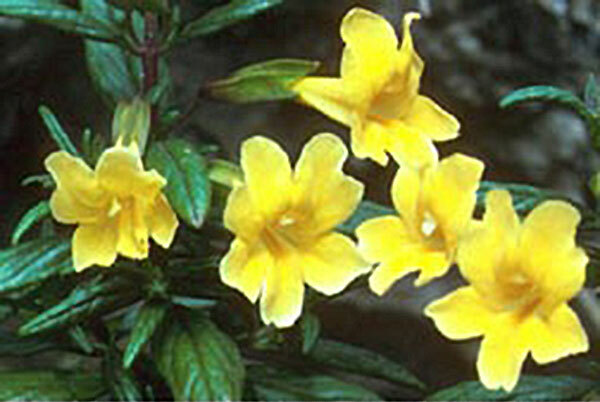 For example, they scattered seed of a red flowering form of bush monkeyflower, Mimulus aurantiacus, from southern California in a misguided attempt. And now those genes are passing into the wild population of northern Californian Mimulus aurantiacus, and you’re getting all sorts of strange intermediate forms. Nobody knows what is going to be the long-term effects of this gene flow into the wild population, but since we don’t know, we shouldn’t be doing it. We shouldn’t be doing it, period. It’s genetic pollution, and that is the sort of thing which I am concerned about. Now, this is a roundabout way of getting to the home gardener, which is a lesser concern to me. 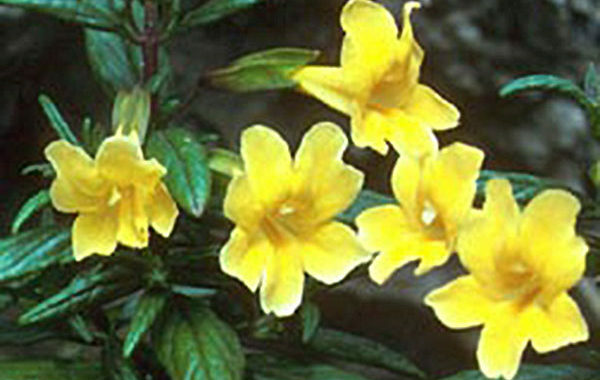 A home gardener, if he puts a bush monkeyflower from southern California into his home garden on the slopes of Twin Peaks in San Francisco, and they pass into the wild population of bush monkeyflower, may not be so serious for the simple reason that in time whatever genetic pollution there is will probably die out. But on San Bruno Mountain, where you’ve got massive seed sowing you’ve got genetic swamping, you’ve got all these foreign genes that are going to overwhelm the native population. Another example: There’s been a lot of seed sowing of California poppies, and a lot of them probably come from those gorgeous great big, deep orange forms from Antelope Valley down in southern California. They’re genetically different from what we have up here, and especially as you get towards the ocean you get smaller and yellower flowers, maybe not quite as showy, but they’re distinct. So when people sow poppy seeds all over the place, as they have been for many years, the gene pool is contaminated, and we don’t know whether it’s good or bad or what the consequences are. All we know is that it’s happening. Human beings live their lives on very short time scales. Nature thinks in geological ages. The Earth has been through all sorts of climatic changes, where you have periods of several hundred years of drought, of warming, of cooling, of this, that, and the other thing. The genes for all the native plants have been sorted out over a very, very long time scale, and they’re very finely tuned to their environment. ‘When we introduce exotic genes – exotic meaning not of this place – it could be a very short distance away. It could be like, instead of plants from San Francisco, you plant plants from Napa County or Monterey, or even the East Bay for that matter-which may do very well in the short term, but in the long term nobody knows what effect they’re going to have. They may weaken or even cause the extinction of a particular species. This has a lot of practical effects. For example, the Forest Service is looking now for strains of sugar pine that are resistant to white pine blister rust. If they plant thousands of acres of those trees, which would be grown from seed that is selected from resistant trees, we don’t know what other genes those trees might have. They might succumb to long-period droughts. They might succumb to freezing temperatures or warming or, you know, there’s just a zillion factors that Nature is concerned about that human beings don’t have a clue about. Does that make sense? It’s this factor that weighs on my mind. I don’t want to appear overly precious in terms of the home gardener. That’s of much less importance, and it’s just that I would like, wherever possible, to get people thinking in terms of preserving the genetic integrity of the local landscape. It requires people to care and to know, and we are living in the midst of an environmentally illiterate society. As long as we are living in that society, then we’re going to have these very bad decisions because that’s where the power is. One more example of potential genetic pollution would be in the Presidio of San Francisco, where the Army had planted cultivars of Ceanothus griseus from the Monterey area, the ground-hugging ones, ‘Yankee Point’ and ‘Hurricane Point.’ The Army planted some of these cultivars along Lincoln Boulevard in the Presidio, and Ceanothus griseus is closely related to the native Ceanothus thyrsillorus, the prostrate form of that, which occurs in the Presidio. And as of today, any genetic damage is not apparent. The reason for that is that ceanothus is a fire-dependent species and does not regenerate from seed except in the presence of fire or some other disturbance. So there is no apparent damage done by these plantings, which have been there for several decades. Now, if there ever is a fire or a bulldozing or some kind of disturbance, then I think all of a sudden we re going to find a lot of intermediate seedlings between the indigenous C thysiflorus and these C. griseus hybrids or cultivars. So this is a time capsule. This is not going to happen for X many years in the future. It’s not apparent right now. It would be good if people in their home gardens would think in these terms if they live near a natural area. Even in San Francisco we have quite a few natural areas around. They re pocket sized, and they all require a lot of management, but they are still there, and we’ve still got several hundred species of native plants. It would be good if people were aware of the fact that they ought to be augmenting the indigenous population, which is very, very small and beleaguered. If you plant another form of the same species, not only might those genes pass into the wild, which may or may not be much of a concern but it might be that the native wildlife don’t find your plant particularly inviting, palatable. I’d keep preaching the doctrine, and people would say, “‘Well, where can I get these plants? and I’d say, “You can’t.” Well, obviously it was a problem. So that’s why we started our chapter (CNPS) plant sale, and from the get-go we have always offered only locally collected native plants. We don’t offer any other kind for sale. So they can get them from us at our annual sale in November. There are a number of problems that we haven’t ironed out yet. This is not an ideal way to do business, but it’s a start; you’ve got to create the awareness. We hope that the idea will grow and people will become more sensitized to this issue. Posted in Gardening with Natives, Local Ecology.